The book studies the intersections between satirical comedy and national politics in order to show that one of the strongest supports for our democracy today comes from those of us who are seriously joking. 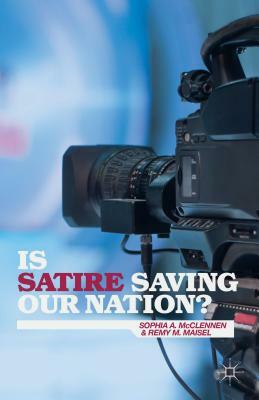 This book shows how we got to this place and why satire may be the only way we can save our democracy and strengthen our nation. Author Sophia A. McClennen: Sophia A. McClennen is Professor of Comparative Literature, Spanish, and Women's Studies at the Pennsylvania State University, University Park, USA where she directs the Center for Global Studies and the graduate program in Comparative Literature.